Electrical conduit is the same diameter as the shade canopy parts. Here an electrical connector joins the two parts. The wood framing is cedar strips I salvaged from someone else's construction project. Plastic sheeting creates a lot of sail area. So, I tied down the frame to the foundation. Look for more construction details here at this site. I’ll post more photos later. The latest addition to my fall garden is a homemade hoop house, which is just another name for an unheated, temporary greenhouse. I’ve had small hoop tunnels in the past, just big enough for plants but that’s all. This one is big enough to walk into. 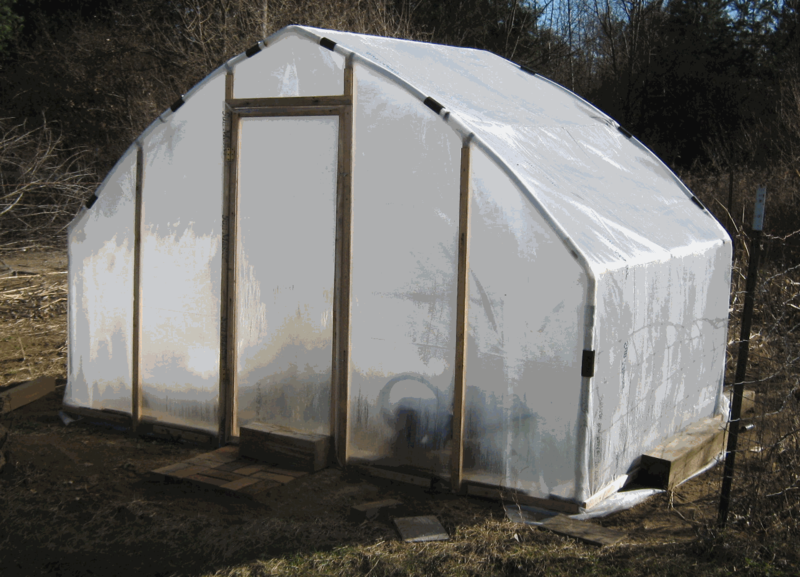 Using this structure will allow me to grow cold weather crops such as spinach, kale, and lettuce well into the winter. I also plan to use it to get an early start in the spring. I made mine from parts to an old shade canopy that I haven’t used for a few years. We used it during the summer months to keep the sun off the picnic tables when we had outdoor get togethers. Actually, I used only half of the pieces. Using all of the parts would have given me more square footage than I need. I just wanted a modest space to grow lettuce this fall and into the winter. Looking at the pile of structural parts a had, it occurred to me that I could re-configure them into the size of hoop house I was looking for. 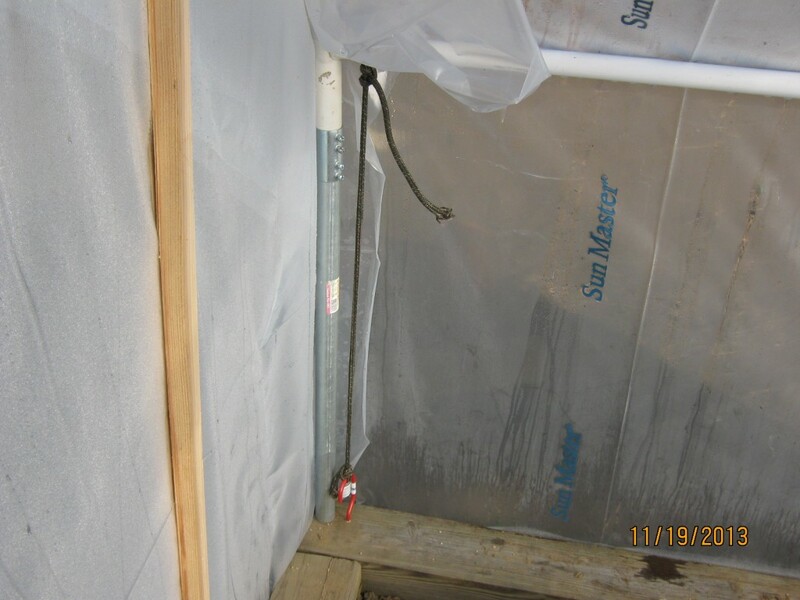 I did have to buy some materials for the project: plastic greenhouse covering, splicing tape, and pipe hardware. 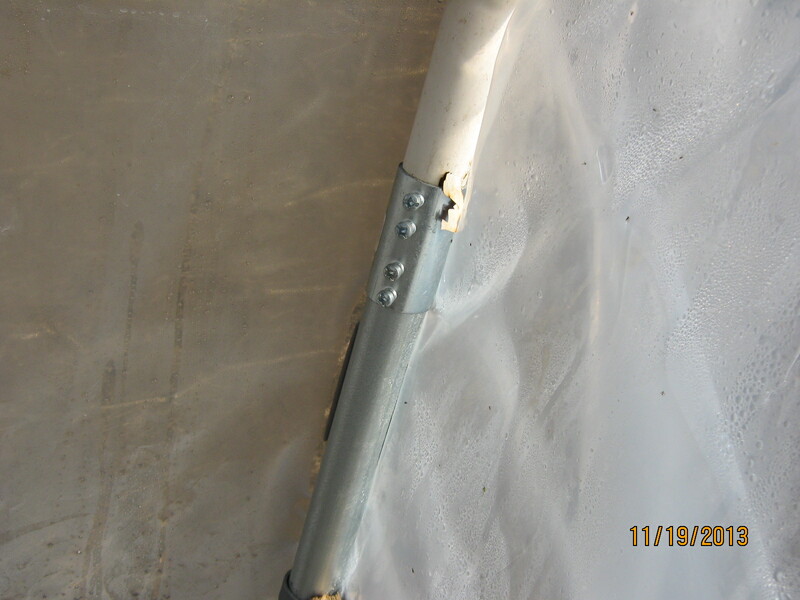 Since I didn’t want to cut any part of my shade canopy – in case I ever wanted to use it for that purpose again — I also bought one length of metal electrical conduit and four connectors to use as post extensions. Since the electrical parts were the same diameter as the parts I already had, it made it easy to splice the two together. I also added some thin wood parts to make a door and give a place for me to attach the plastic sheeting. I used 4×4′s for the foundation. I ended up with a greenhouse measuring 10 ft by 10 ft, that’s 100 square feet of growing space. Next year, if I feel the need to, I can expand it up to its original size of 10 by 20 feet. 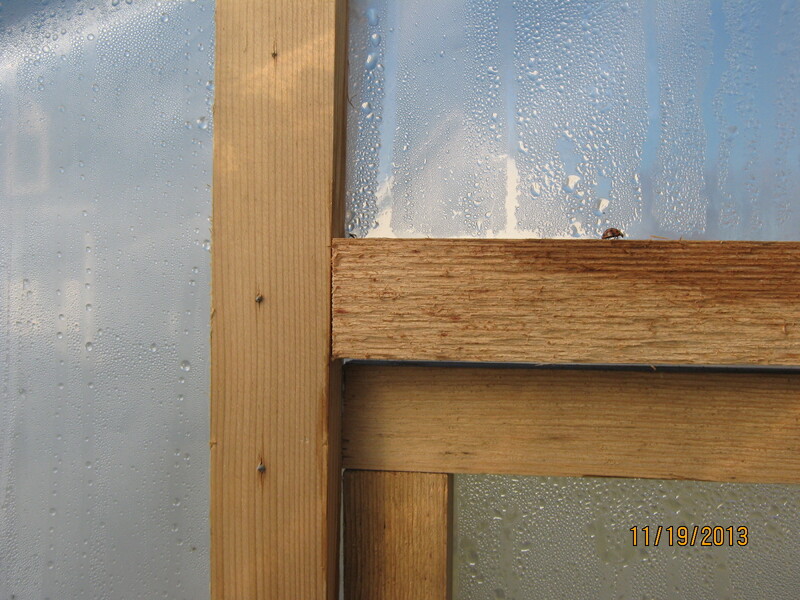 Except for the plastic covering and some hardware, this greenhouse is entirely made of re-purposed material. If you’ve ever considered urban agriculture, this may be an inexpensive way to get started on a small scale. And if you don’t have a shade canopy? Well, I’ve seen used shade canopies for sale at yard sales, some of them without their shade cloth or with parts missing. That’s OK though since you’re going to re- design the structure anyway. So far, my hoop house is standing up against the wind and winter storms we’ve had. I optimistic that it will still be standing when spring arrives. As for the rest of the crab apples, I think my next project is crab apple fruit leather.